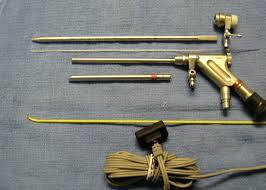 In 1997, the YESSS (Yeung Endoscopic Spine System) ,produced by Richard Wolf, has been introduced into the market. The specification has been worked out by Anthony Yeung, MD, a spine surgeon with decades of experience in the treatment of herniated discs. The system is produced and distributed by the German Endoscopy Manufacturer Richard Wolf. 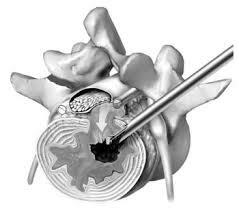 By competent description of the operation technique and device through Anthony Yeung at al., but also marketing activities of Richard Wolf, the YESS – System still is accepted world wide by numerous spine surgeons. The basis for the development and application of Foraminoscopes are experiences in the field of percutaneous discectomy by its development stages. Early Foraminoscopes were specified and produced by H.J. Leu / Karl Storz and Hal Matthews / Danek Inc. 1991 . Their use has been described in several publications.